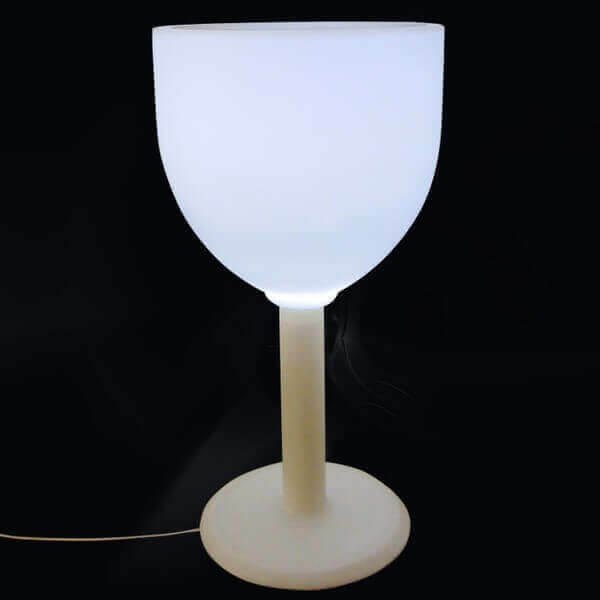 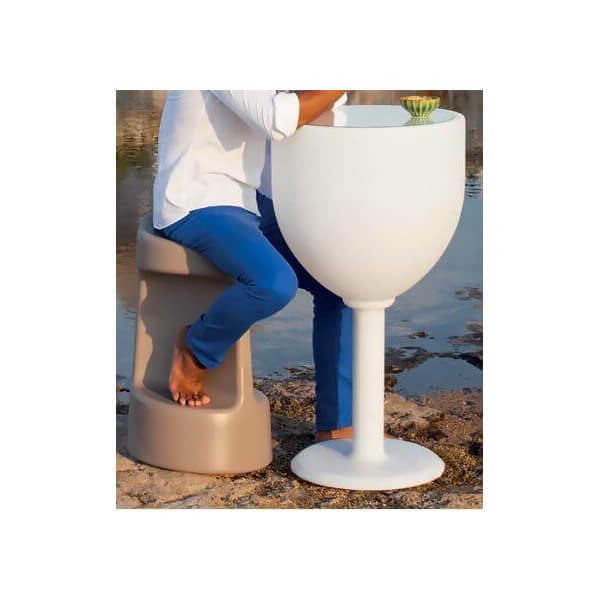 High light table shaped wineglass on foot to the inside or outside. 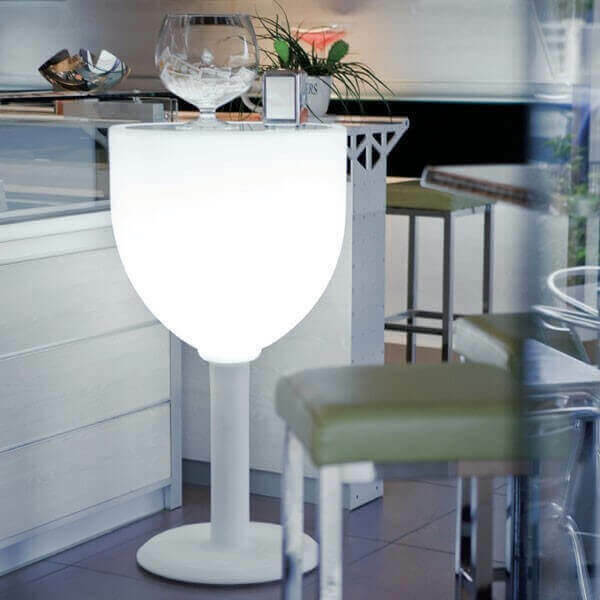 It eats up is ideal for an aperitif and illuminate your evenings! 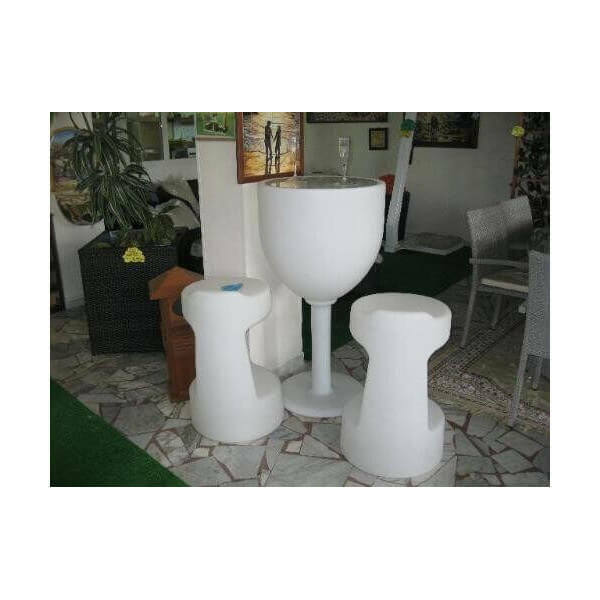 The table is made of high quality resin (polyethylene) in the principle of rotational molding in Italy. 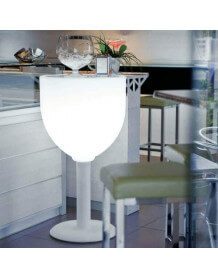 - Or on rechargeable battery (wireless), multicolor led kit included, 220 V charger and remote control.